Banksy (?) 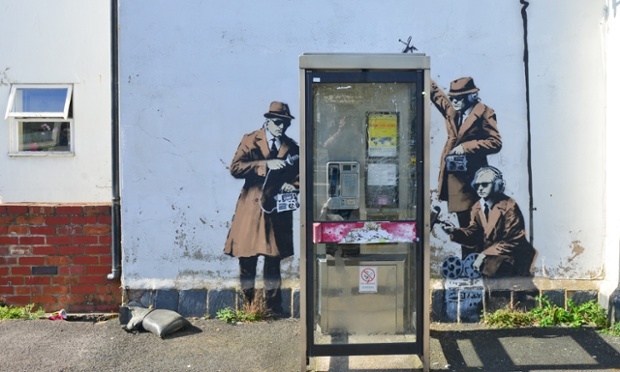 reveals GCHQ taps our phones, shock, horror. No comment seems to be available yet from Edward Snowden. Still at least the owner of the house woke up to find the value of the property had just gone up by quite a few £K overnight. Re: Banksy (?) reveals GCHQ taps our phones, shock, horror. Just out of interest, is your "somewhat endearing view" in any way influenced by GCHQ's wholesale gathering of data on British subjects? Er... yes, I think, if I've got your question right. It's a bit too cosy especially as it's just down the road from GCHQ. I guess if it was really trying to say something the spooks would have had it washed off by now.